Speaker, Writer, Researcher; Creation Research. Joseph (AKA Indiana Joe) has been working with Creation Research UK since 2014, and founded the Genesis Museum of Creation Research in 2013, which was to become Creation Research UK’s first UK museum. He is completing his degree in Palaeobiology, a qualification in zoology, and has extensive experience in archaeology, geology, and biology. Joseph has been a Christian for 17 years, and unashamedly preaches Christ in his many talks and presentations he gives. Joseph serves as the main representative for Creation Research UK, organising itineraries, and ministry trips. He also is an active speaker and writer for Creation Research, and leads field trips around the UK. He serves as the director of the Genesis Museum of Creation Research, and an active member in the Creation Research UK Museums Project. For a full bio, click here. John Mackay is the founder and director of Creation Research. 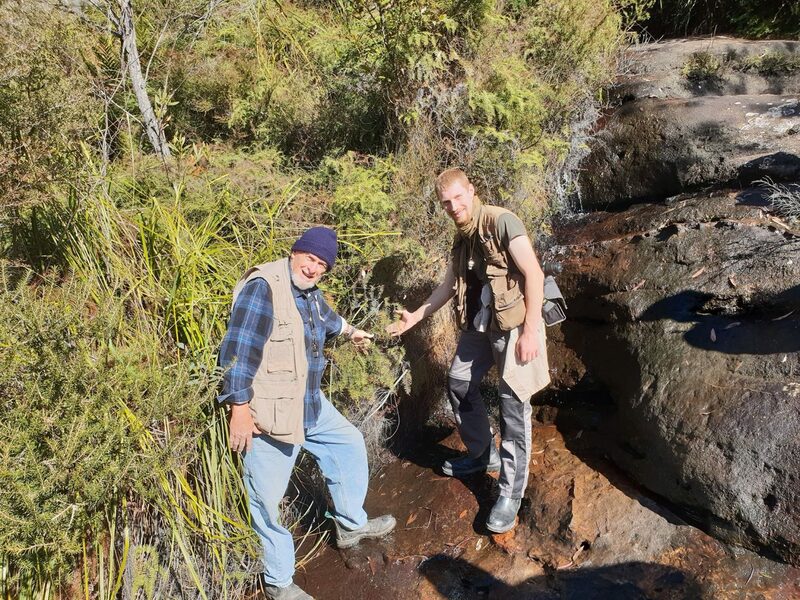 He earned his degree in geology from Queensland University, and has presented papers on rapid coal formation at the Sydney Basin Coal Conference. He has debated many of the world’s leading evolutionists and atheists, many of which can be viewed online. John speaks throughout the globe on issues such as creation, evolution, the Bible, Noah’s flood, and origins. He is the director of Jurassic Ark, the first outdoor creation museum in the world. John is mainly based in Australia, but regularly visits the UK to perform ministry and research. To see a full bio of John, click here. Research Assistant, Ministry Assistant; Creation Research UK. Roman served as a police officer before coming to know the Lord through the ministry of John Young and Creation Research. The Creation Research documentary “Time’s Up Darwin” was extremely influential in convincing him that the Bible could be trusted, evolution was a fraud, and that Jesus Christ is very real, and very personal. Roman is now an active member of Hyde Christian Fellowship, and serves the Lord on a Christian stand in Manchester marketplace. He serves as a office worker, research assistant, and assists both Joseph Hubbard and John Mackay with ministry trips and resource sales. Finances, Sales, Administration; Creation Research UK. John is the finance and sales administrator for Creation Research UK. He served as the main rep for Creation Research UK for over 20 years, and still serves as chairman of the Creation Research Trust in the UK. John also pastors two churches, Hyde Christian Fellowship, and a messianic fellowship, Jacob’s Ladder. John was influential in setting up Creation Research UK, and keeping it running. His desire to serve the Lord meant he has been the backbone of the UK ministry since the beginning.